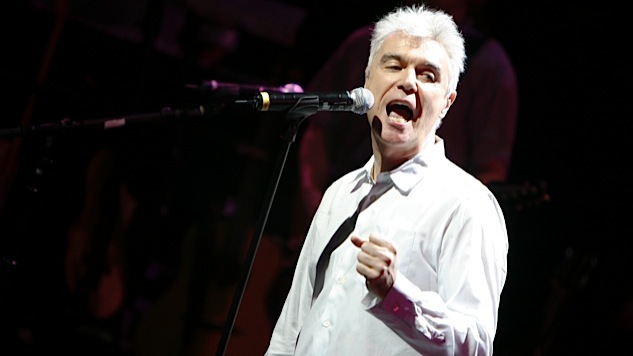 On April 10, 2008, Byrne performed in Brooklyn as part of a tribute to Simon called "Love in Hard Times." Ten years ago, Queens native Paul Simon performed a monthlong, multifaceted concert series at New York’s Brooklyn Academy of Music called Love in Hard Times: The Music of Paul Simon. The series began with Songs from the Capeman, in which Simon performed his original work for the Tony-nominated score of the 1998 musical The Capeman, backed by Broadway arranger and conductor Oscar Hernández, some of the production’s original cast members, and a band featuring New York Dolls guitarist Steve Conte. The series ended with American Tunes, a showcase of Simon’s signature attention to American pioneerism, acknowledging the “railway stations, urban rhythms, and immigrant dreams” that pepper his lyrics. American Tunes featured appearances by Josh Groban, Olu Dara, Grizzly Bear, Gillian Welch and The Roches.